Green Building. Image Credit: Public domain. Companies can no longer afford to say no green practices. It is almost essential to business survival, considering the many benefits that companies stand to be gain, ranging from energy savings to corporate marketing. It is no stretch to say that businesses will depend on their green practices to expand their profitability in the next few years. After all, these green practices can possibly triple your bottom line, provided that you do it right. In this note, there are four P’s to be addressed when you turn to green practices: people, planet, profit, and policy—with each P providing you with a compelling reason why green construction is an investment you cannot afford to pass up. People are no longer looking for quality, well-made products. Most of them also take into account the green practices — or lack thereof — of the vendor. Your green construction, along with other sustainable ethical practices, should be your material for your next marketing campaign. As climate change is at the forefront of the world issues today, the environment is everyone’s concern – including that for your business. Your compliance with greens standards says a lot about how much you care for the environment. If for no other reason than this, green construction is a venture that is well worth it. 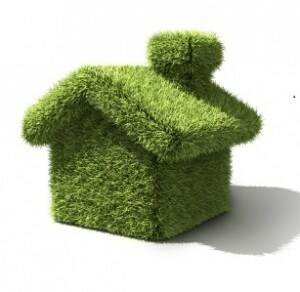 Green construction will not just lure customers in, it will also conserve energy and water resources. And we all know what that means for your business: less operational costs. Ultimately, this will lead to the inescapable conclusion that finally turning to green construction means profit for your business. So what else are you waiting for? Whether it’s your local building code or your federal regulations, there is surely a policy on green construction that you can benefit from in the form of tax deductions or exemptions. Take advantage of these benefits, and you will see how green construction is well worth your investment in more ways than one.